Why the name “White Rhino” Financial? Unlike other firms with enigmatic titles, our firm’s name carries important significance. We find that the White Rhino serves as a fitting metaphor for our approach to finances. We believe that our approach is unique and memorable, just like the name White Rhino Financial. The White Rhino is a tough, thick-skinned mammal that lives in the grassy plains of central and southern Africa. As one of the largest land mammals (second only to the elephant), adult White Rhinos have no natural predators. A dominant figure of the Saharan plains, The White Rhinoceros is quick and agile and can run 31 mph, they rumble through the jungle fearing nothing. A White Rhino spends a third of their time working, grazing their territory, a third of their time resting and a third of their time enjoying life in the mud. Our dedicated team of personal financial professionals takes a similar approach when working on our client’s financial future. Our unique approach helps clients balance their financial life, so that they can find more balance in their real lives. We do this with the same persistence as a White Rhino, thundering across the plains. We protect our clients’ hard-earned investments with the same ferocious dedication. We’re a thick-skinned bunch who believes in a no-nonsense approach to wealth building and protection with only our client’s best interest in mind. When clients make a commitment with our firm, we’ll charge through obstacles, like the White Rhino, to achieve the wealth potential that our clients deserve. 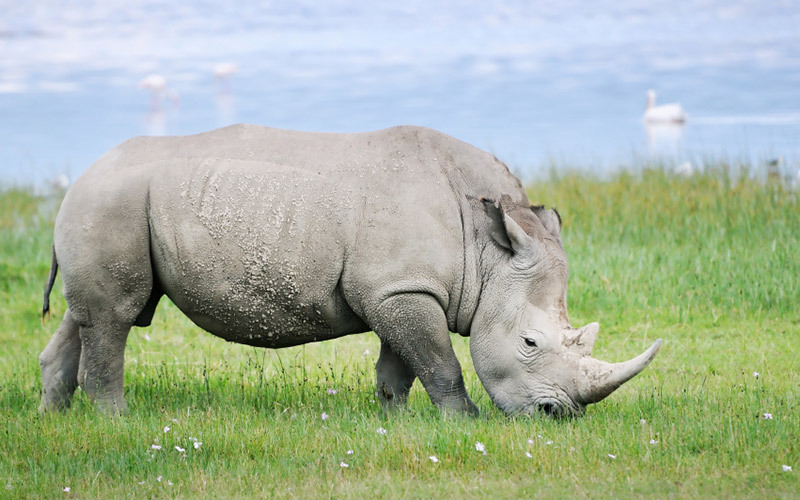 The White Rhino is one of two species of rhinoceros with two horns instead of one. The name “white” rhino is actually the result of a mistranslation of the Dutch name for the rhino, “wijd,” which means “wide” in English.